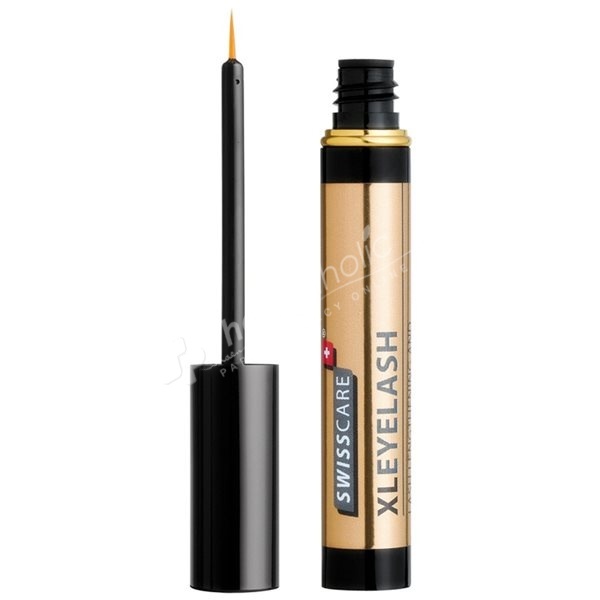 Swisscare Xleyelash is an anti-aging booster for lash recovery, lash lengthening and conditioning serum enhanced with five clinically proven patented technologies for repairing and enhancing damaged lashes and brow hair. The addition of the latest innovation Capixyl™– a biomimetic peptide combined with a red clover extract rich in Biochanin A, acts in synergy to give compounded results, providing effective protection against breakage and thinning. An innovative blend of powerful antioxidants, biotin and amino acids rich in protein, stimulate growth of hair follicles for stronger, thicker and longer lashes. Soluble collagen promotes moisture retention to hydrate and nourish lashes. Bio-available moisturising and conditioning agents increase lash flexibility and elasticity. Aqua, Glycerin, Butylene Glycol, Hydrolyzed Wheat Protein, Panthenol, Phenylpropanol, Xanthan Gum, Polyquaternium-39, Dextran, Propylene Glycol, Aloe Barbadensis Extract, Urea, Trifolium Pratense (Clover) Flower Extract, Acetyl Tetrapeptide-3, Methylisothiazolinone, Alcohol, Disodium Phosphate, PEG-40 Hydrogenated Castor Oil, Sodium Benzoate, Tocopherol, Biotin, Citric Acid, Vitis Vinifera (Grape) Seed Extract.